These are a large size of commercial style envelopes. They are regulars meaning closed face, no window. 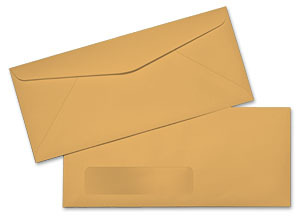 These envelopes are made with diagonal seams and are constructed with brown kraft 28lb paper. 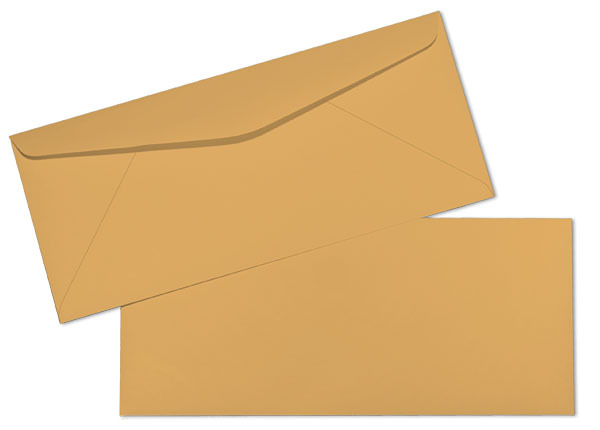 The 28lb paper creates an envelope that is more durable than the 24lb. They have a commercial style flap with moistenable glue seal. These envelopes provide a professional look at an economical price. The brand for this envelope is printmaster or something comparable.